Do you make excuses for not going gym? Everyone knows going gym keeps us healthy and everyone wants to be healthy but still everyone don’t go gym. We have a word “Excuse” in the dictionary which is widely used when it comes to the question of going gym. 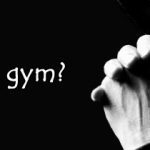 So let’s discuss some common excuses made by people for not going gym and are they really justified? This tiredness is not because of your office work, the reason is your bodies lower energy levels. If you give 8 hours of good sleep in night to your body then doesn’t matter how hard you work throughout the day (If you are habituated, exception of extreme conditions). The solution is start going gym, do a good workout, eat right, sleep enough and see the magical high energy levels of your body, you will feel energetic through out the day. Some people think that if they don’t have big belly or don’t look obese that means they are fit. Actually this is a very big misconception that people with big belly are unfit and people without a big belly are fit. Truth is even a slim person can have sugar problems, high cholesterol level, even heart problems. Your genetics is also responsible for your body shape and weight, it might be the case that you look slim but have above mentioned problems. Reason behind this situation can be – your body have small and week muscle structure (leads to less body mass) and body fat is more deposited near your internal organs (visceral fat) instead of below the skin (subcutaneous fat). I have seen some strength athletes with big belly but they are completely internally fit and have no diseases. But overweight can lead to joint problems. So going gym can solve all these problems under proper guidance. Yoga is an amazing art which can definitely make you healthy but one question you need to ask your self, are you doing enough of it? Remember, lazy yoga or quick few minute yoga can’t help you in loosing weight, becoming fit or to fulfill any other goal. Reason behind lazy yoga or quick yoga is doing it alone at home, no one to motivate you, no one to push you harder. If you are facing such situation then try going gym as gyms always have so many people gathered at one place like you who want to be fit, a trainer who can push you harder, who can motivate you. So giving a fare chance to gym will be a good idea. One more point need to be kept in mind is your diet and lifestyle, if they are not proper then yoga or gym – no one can make you fit. I personally love yoga and planning to use it for getting control over breathing. Many girls think that weight training is only for boys, once I heard a girl saying “climbing stares is enough to keep girls fit” (She was talking about walking 60 stares 2 times a day, one to reach the office and other to leave office). Mother Nature has created men’s with natural ability to be strong and to become even stronger but women’s are gifted with some other abilities, other than big muscles and strength. But both need them in their daily life. After an age of 25, aging process starts in which muscles start shrinking, in simple words small and week. In case of women’s they already have small and weak muscles (in comparison of men’s) and becoming even weak and smaller with age. Women’s also have a tendency to gain weight with growing age, Now the situation is a women is overweight and have week muscles, now imagine that you have to stand up from floor with heavy body weight and week muscles? This is just one situation, think about others. Solution is weight training + cardio, with this you can at least preserve muscle size and strength for a very long time and you will also be able to manage your body weight to live a better life. Age factor is never a barrier for going gym. If you think you are too old for going gym, you are absolutely incorrect. Start going gym from today, the only thing can happen in gym is you can become younger, stronger muscles, stronger bones, higher energy levels and ofcourse many other things that will change your life, but with growing age you need to take care of few things in gym. If you are facing any kind of disease, metal or physical problem, let your trainer know, consult to your doctor before doing a workout but this doesn’t means that you don’t need to go gym instead do workout with special care, because gym can solve these problem up to limit and you can live a better life. Some people think that if someone wants to be a bodybuilder then only he need to go gym. Actually without entering gym, you can’t identify whether you can become a successful bodybuilder or not. The reason for entering gym should be to keep yourself fit. While going gym, your body speaks itself that what it can become. If your body have the ability to become a bodybuilder then do it, Everyone is not this lucky to get this amazing gift from god, so go for it And if your body respond normally to gym workouts then just try to be fit and enjoy the benefits of healthy living. House wife’s (even office going married women’s) always have a responsibility of their family like preparing children for school, husband for office, keeping house clean and hygienic, preparing food etc. This list is endless, but they are always successful to find some time to watch their favorite TV shows. So here we got the solution, try to take out 45 minutes from your life and now you have time for gym. You decide which one you like more, your family or your TV. If family then keep yourself fit forever by going gym regularly which will allow you to give a shower of love for your family forever. Some people says that gym is far away from their home, in this situation one can buy some weight training equipment’s with which you can train yourself at home but first take advice and guidance from a capable health professional for enough time and learn the required skill with which you can train yourself at home. For this excuse, I like to ask a question from these people, as you are not focusing on your fitness, it might happen that you fall ill one day. So when you are ill, will you be able to take proper responsibility of your family? The answer is NO! Because in this situation you need some one to take care of you instead of you take care of others. So keep yourself fit to get the ability to make your family happy forever. Pressure of studies is definitely a valid point, but whenever you have some free time, go gym or do some physical activity like playing an outdoor game to keep yourself fit, but be honest with your time management. It works like a due, pay it today or pay it later with penalty. So stop making excuses and start going gym today. Why am I going gym? Are you an athlete too? Want to promote yourself on internet? Want an online presence like I have? If yes, then this section is for you.